Through a partnership with W International and Berkeley County School District, new welding programs will be offered at Timberland and Cross High. Adult welding programs will be offered in the evenings through Berkeley County School District’s adult education program. Sharing stories of our students spreading kindness never gets old. In this case, a Devon Forest 4th-grader was recognized after he helped a classmate on a field trip. The Berkeley County School District Office of Diversity, in collaboration with the Goose Creek Branch of the NAACP and the United States Postal Service, celebrated Black History Month with a program that was held in the Goose Creek High School Auditorium on the evening of February 25. Last week, players for the South Carolina Stingrays visited Hanahan Middle (HMS) as a surprise for students. The goal, they said, was to generate smiles and spark interest in hockey. The change is easy to see these days when visitors step on the campus. Students offer greetings to passersby. What was once bare wall and hall space is saturated in student work. Smiles are visible on the faces of the students and staff members. When teachers from other schools come to Mount Holly Elementary, they take notes. If you believe a math event is something that might be scarcely attended, you obviously have never been to J.K. Gourdin Elementary. Three Berkeley County School District students were recognized at the March 26, 2019 Berkeley County Board of Education meeting for artwork published in the 2019 Home Telecom Directory. At the Tuesday, March 26 meeting of the Berkeley County Board of Education, several champions were recognized as a part of the school district’s monthly Legacy Builders program. This edition of In the Loop provides a hichghlighted summary of actions taken by the Berkeley County Board of Education at its regular meeting held on Tuesday, Mar 26. The Berkeley High School weightlifting team competed in the South Carolina High School Strength Meet on Saturday March 23, and four Stags came home with state titles. The Berkeley varsity winter guard beat 36 teams to be named CWEA Scholastic Regional A Class Champions. Additionally, they were promoted to the AAA class for the 2020 season. Berkeley County School District (BCSD) announced its three Honor Roll Teacher of the Year finalists at its annual Teacher Forum Induction on Friday, March 22 at Freedom Church in Moncks Corner. Hanahan High School Principal Tom Gallus wants everyone to know that athletic programs at his school aren’t built on talent alone. Mr. Gallus believes Hanahan High is special, because of the character displayed by its athletes and valued by coaches, parents and community members. 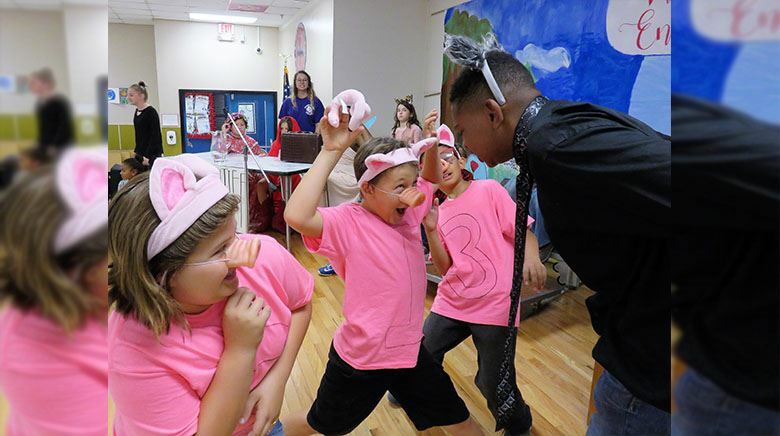 Thursday at Hanahan Elementary this week was not your typical day before Friday. On the brief walk from the parking lot to the main office, there were several hints of the day’s significance to many students on the campus. Another exciting event that took place in celebration of Black History Month was an oratorical competition held at Cross Elementary School on the evening of February 28 as part of the school’s family literacy night activity. Nearly 340,000 pieces of writing and art were submitted to the Scholastic Art & Writing National competition this year. Of those, fewer than one percent were recognized with a gold medal – the competition’s highest award. Brandon Evans doesn't dream of being anyone else. He says he knows who he is and what he will be in the future. He encourages others to focus on what they value in life, what they want to become in the future and refrain from being discouraged by negativity. DRAFT of the proposed 5-year Capital Projects Plan created by Harding Parker & Associates. Action items included in this DRAFT have been presented to the Berkeley County Board of Education, however they have not yet been approved. Students, educators and representatives of the Charleston RiverDogs packed the multipurpose room at College Park Elementary Monday morning for an announcement on how Charleston's professional baseball team would be partnering with Berkeley County School District to promote literacy. Registration for Berkeley County School District (BCSD) kindergarten and pre-kindergarten programs will begin Monday, March 18. More than 300 certified educators attended the annual spring Teacher Recruitment Fair on Saturday at Cane Bay High. This edition of In the Loop provides a highlighted summary of actions taken by the Berkeley County Board of Education at its regular meeting held on Tuesday, March 12. The following Berkeley County School District facilities/construction updates were shared during the Tuesday, March 12, 2019 board meeting. The updates were shared as information only, with no decisions to be made. BCSD is seeking innovative, enthusiastic and ambitious teachers. The annual Teacher Recruitment Fair is the best place for those looking to join the team to get a foot in the door. During the month of February, many staff members from across the school district had the opportunity to visit numerous schools and community organizations that held events in honor and celebration of Black History Month. The Berkeley County Board of Education held a final reading on attendance line changes for the Sangaree area at the Tuesday, March 12 regular meeting. The next step is an interview process for each of the eight. Following interviews, three finalists will be chosen after a committee visits each teacher’s classroom. Seventeen schools, nearly 4,000 students and 150 Berkeley County teachers participated in the annual Kids Who Care project competition this year. The importance of helping others was something instilled in Brittany Biggane at an early age. Living in a small town anchored by its schools and teachers, she quickly realized through childhood experiences that teachers have a positive impact on many lives. ﻿Several Berkeley County School District schools had students compete in the annual QUEST academic competition at Trident Technical College last weekend. Of those, many brought home awards in various categories, from mathematics to welding. Schools receiving the AP Computer Science Female Diversity Award have either 50% or higher female representation in one of the two AP computer science courses or a percentage of the female computer science examinees meeting or exceeding that of the school’s female population. With work earning a ribbon at the Coastal Carolina Fair and a design chosen as the cover of the Home Telecom phone book, Zoe Black is making the best of opportunities. Those aware of her work say while she is humble, her level of achievement is not surprising. It's National School Social Worker Week, and our, dedicated social workers have a message they want all to understand. The program offers birth to 5-year-old home visitation services to promote transition to formal school and parent practices. Last week, seven students at Cross Elementary took the stage for the school’s annual oratorical competition. While other schools host similar events, the night in Cross is usually much different. This past weekend “Insquiring” was heard on the sound system at Dutch Fork Middle several times. The team won three of 14 awards available at the Palmetto State VEX Robotics Competition – more than any of the other school teams. Excitement, pride and bliss are pulsing through the hallways of Goose Creek High School this week. Goose Creek won its third basketball title since 2010 with a come-from-behind victory over defending champion Spring Valley on Friday. Board members voted in favor of proposed attendance line Option C, which moves about 687 students zoned for Cane Bay High to Stratford High. The best basketball season in Berkeley High School history came to a crushing conclusion on Friday. The Stags fought hard but fell to now three-time defending champion Dorman High School, 46-39, in the Class 5A boys championship game in Colonial Life Arena. Following a brief discussion at the February 26, 2019 Berkeley County Board of Education meeting, the 2019-20 instructional calendar was unanimously approved. While giving is the way at Stratford, Principal Taylor and others believe this experience will be one students remember for a lifetime. Many schools in Berkeley County School District held special programs and events for Black History Month. This video takes a look at the activities at PSE, where the school is named for a blacksmith and artisan deserving recognition as one of the South's most influential African-Americans. The work of Mr. Philip Simmons is visible all over the Charleston area and is also available for viewing at museums all over the world, including the National Museum of American History and the Museum of International Folk Art in Santa Fe. This edition of In the Loop, published and distributed by the Department of Communications and Community Engagement, provides a highlighted summary of actions taken by the Board of Education during the regular meeting on February 12. We love our bus drivers in Berkeley County School District! For many of them, like Jessica Breach, it's a calling. The board is expected to have a first reading on Thursday and vote on one of the attendance line boundary change suggestions and the guidelines, following feedback and discussion at that special meeting. Hundreds of students from all over the Lowcountry participated in the Storm the Citadel event held on February 9. In it's ninth year, the event is STEM learning-centered with competitions offered in/for trebuchet, bridge building, robotics and water bottle rockets. Several Berkeley County School District schools had teams participate in the annual Black History Month quiz bowl hosted by the Mu Alpha Chapter of Omega Psi Phi Fraternity, and four of those teams were victorious. While virtual reality is nothing new to Berkeley County classrooms, the experience provided by the zSpace AR/VR setup is much different and more hands-on. When it comes to measuring the quality of high school choral programs in South Carolina, the Lander Choral Festival has long been a mechanism. In its 32nd year, the event has a built a reputation of attracting and identifying the state’s most elite choirs. A meeting regarding new proposals for the board’s consideration will be held on Thursday, February 28 at 6 p.m. at Sangaree Middle. With new maps and proposals in hand, the board is again seeking feedback from community members who would be impacted. Following meetings with community members, the board had an opportunity to review feedback on early proposals. That feedback prompted BCSD board members and administrators to consider additional options. Teachers packed Berkeley County School District classrooms Friday for a training other school districts in South Carolina and elsewhere in the country are looking to soon adopt. The application process for Berkeley Center for the Arts is currently open for students hoping to one day pursue a career in the fine arts. Applications must be postmarked by 4:00 p.m. on Thursday, February 28, 2019. Howe Hall Arts Infused Magnet School (AIMS) is now accepting applications for the 2018-2019 academic year. Applications must be postmarked by Thursday, February 28, 2019. Each year, teachers at BCSD schools nominate three educators to be considered for school-level Teacher of the Year. The nominee receiving the most votes from colleagues is elected school Teacher of the Year and considered for District Teacher of the Year. Tips and information on how you can keep your child safe from influenza. Schools in Berkeley County School District have selected their Rookie Teachers of the Year. These teachers will be considered for district Rookie Teacher of the Year. This week is School Bus Driver Appreciation Week. The entire month of February is also LOVE THE BUS MONTH!! Please consider having your child color one of these two pictures for their driver. The South Carolina Association of Educational Office Professionals (SCAEOP) is recognizing two Berkeley County School District employees this year. Christian and Keller Rogers finish each other’s sentences. They both like science and visual arts, and they both excel in music. Now, they will both attend the All-State Chorus Weekend in March, and they credit their special bond as one of the things to get them there. We at Berkeley County School District realized several years ago a need to go beyond the offerings to the children in the district and assist entire families and communities when/where available. Our care about your health outcomes promoted our partnership with Healthy Tri-County. Of more than 230 schools represented at the regional event, BCA students accounted for the 4th-most awards. BCA creative writing teacher Nick Geary said poetry was the dominant area for his students, but awards were also won in fiction, memoir, humor, flash fiction and science fiction. Middle and high schools from all over the Lowcountry brought over 200 staffulty and students together for the event. Friday was the final day at Philip Simmons Middle for SRO Henry Richardson. He will begin work with a neighboring police department next week. As he's been a part of the school since it opened in 2016, teachers, administrators and students felt is was appropriate to send him off as the hero he has been on the campus. The best characteristics of leaders often are infused into their team members. It’s obvious that’s happening within the nursing services department of BCSD. The first year of teaching can be tough. At Berkeley County School District we pride ourselves on the support we provide to our rookie educators. This video makes it clear that our administrators are doing the right things and that support come from multiple areas. This year's National Signing Day class was dominated by Berkeley High, with 18 student-athletes committed to colleges and universities. 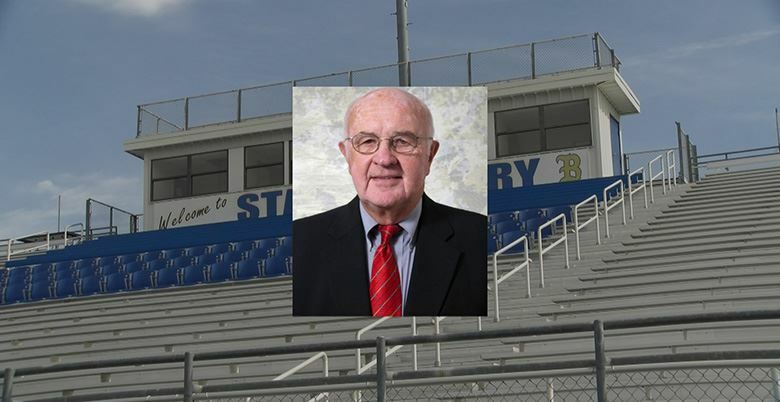 Longtime voice of the Berkeley Stags and former Berkeley County Supervisor Jim Rozier passed away on February 5, 2019. Those at Berkeley High say his voice will be missed on Friday nights and his boots will be tough to fill. rants for the South Carolina Community Block Grant for Education Pilot Program were awarded to seven initiatives throughout the state, with 18 participating districts and additional community partners, including local Head Start and First Steps partnerships. On Monday afternoon, over 100 students at Whitesville Elementary in Moncks Corner went home with brand new winter coats. If you stand on the corner of Daniel Island Drive and Purcell Lane, the level of appreciation is visible in the form of morning greetings, smiles, fist bumps, high fives and showings of gratitude. There’s something living and breathing in the halls of Goose Creek Elementary, and it's something teachers, administrators and students hope will grow and impact the community. Makenna Allen says her motivation to succeed was born from lessons from her father. When she slips, she brushes it off and tries harder. Hanahan High counselor Mrs. Courtney Barber is being recognized as one of the nation's top counselors this week. Funded by grant money provided to every school district in South Carolina, Berkeley Elementary held a Stop the Bleed training on Wednesday designed to better prepare teachers and administrators for an incident during which bleeding presents a serious threat to life. Community members and school stakeholders are encouraged to keep an eye out for upcoming community discussion dates. BCSD board members say community attendance and feedback at those meetings will be paramount. It began during the holiday season about six years ago. Goose Creek Elementary teacher Dedria Donnahoo had toys donated to her 4-year-old class on the day before winter break. Ian Mullaney stepped to the microphone, and the look in his eyes let everyone know he was seconds from winning the 2019 Berkeley County School District Spelling Bee. From magnet schools to Career and Technical Education (CTE) and everything in between, Berkeley County School District provides learning opportunities and innovative programs to engage students, ignite a passion for learning and prepare them for the future. This second informal meeting is scheduled for 6 p.m. on January 31 at Sangaree Middle, and it will be specifically for the parents of highschoolers living in the Sangree area and enrolled at Cane Bay High, along with the parents of current 8th grade students at Sangaree Middle. Now with half the school year under its belt, Cainhoy boasts a student body that’s affluent in large bird knowledge – from the youngest students to the oldest. Now in its fourth year, the event is designed to prepare students for “successful post-secondary outcomes” with the help of local employers, job information and other resources. This edition of In the Loop, published and distributed by the Department of Communications and Community Engagement, provides a highlighted summary of actions taken by the Board of Education during the regular meeting on January 15. Unlike a traditional fundraiser, there will be no buying or selling for goods or services. Instead, the group at BHS is using the Children's Miracle Network Dance Marathon model to raise money. When most people think of homecoming at their high school, they reminisce on pageants, parades, big games and dances. For the last several years at Goose Creek High, homecoming has become much more. To be selected for the distinguished group of young singers, students in grades 4-6 participate in a 3-part audition procedure. You likely won’t find a wrestling coach in the Carolinas that doesn’t know Stratford coach Willie Nearhood, and it’s for good reason. Before winter break, Berkeley Center for the Arts (on the campus of Goose Creek High) held a creative writing film festival. This video provides highlights from the student-produced short films that were shown. What began as a conversation on kindness and giving, sparked the idea to create a random acts of kindness campaign. The students have been spreading kindness since November – from leaving positive notes for teachers to organizing sock and canned food drives. The information will be presented by representatives from the South Carolina Department of Education on January 24 at MenRiv Education Park from 4 p.m. until 6 p.m.
BCSD students and parents will pack the auditorium at Berkeley High School on Thursday for the annual district spelling bee, and there are several definites those attending the event can expect. The show, billed as a preview of SCEMA conference performances, will feature the Cane Bay High Ladies Honor Choir and the Berkeley Center for the Arts Chamber Choir. Tips and information can be shared anonymously (if needed) via the button on the home page of the app for situations like bullying, threats and drug activity. Suggested changes to school boundary lines for Cane Bay schools were mentioned during the quarterly update on the master facility and growth plan in December. Project Unify is impacting the students at Cane Bay Middle, and the initiative is growing in popularity every day. Like many middle school 8th-graders attending schools in rural South Carolina, he loves grits, says "yes ma'am" and "no ma'am" and believes tea is best served cold and sweet. At an early age, Mr. Watterworth knew he could make a difference in young people. He wanted a career where he could pursue that desire. He describes the field of education as "the perfect profession." Bringing cheer to the school community is a priority for teachers and administrators at Goose Creek Elementary. Old pizza boxes, shipping materials and tape – it was the starting formula for several Philip Simmons Middle students as they prepared for the final week of school before winter break. Two standout athletes at Hanahan High School signed national letters of intent Wednesday -- the final day of the NCAA early signing period. All the Whos at Whoville Middle in Berkeley County were working diligently Wednesday as they put finishing touches on final school assignments before the upcoming holiday break. Hanahan High defensive end Cooper Dawson was recruited by MANY NCAA Division I schools. When decision time came, he decided he wanted to wear orange. It's a busy time of year for Santa Claus, but he took a short break from checking his list, helping build toys and planning for his big trip around the world to visit Boulder Bluff Elementary last week. The annual Berkeley ONEderland Gift Program has become an annual event; in the last three years the program has provided Christmas gifts to 150 children in the district. The South rallied from a 3-0 halftime deficit to win for only the fourth time in 16 games. Alli Spagnolia, knew she wanted to be a teacher since she was a little girl, in fact she set up a classroom in her cousin's bedroom and played school when she was a child. Now her love and passion for teaching is changing lives every day. The annual performance, headlined as "Christmas in the Creek" will be held on Thursday, December 20 at 7 p.m. in the Harry D. Calvert Auditorium. H.E. Bonner Elementary hosted a Winter Specatacular Thursday, during which several after school clubs performed. The increase will be on the first paycheck of January 2019, and it will be retroactive to July 1, 2018. Six students at Cross High School made history last week as they were the first BCSD students ever to benefit from lessons in forklift operation and become certified prior to graduation. As the door is soon to close on 2018, B.O.L.T is preparing for a showdown on the world showcase. The team won the award of Grand Champion at the East State Championship on December 8, qualifying it for a chance to participate in one of two international tournaments -- Houston or Uruguay. Volvo has pledged $10,000 to the program. Google will award $11,760 to the team, and Berkeley Electric Co-Op has pledged a $1,000 commitment for the expansion of the team. Several BCSD schools participated in the annual LOVEGAVE YardGive event on Saturday, December 8, which offered community members an opportunity to shop for holiday gifts without the burden traditional stores may put on the wallet. From a Cookies, Cocoa and Coding event after hours at College Park Middle to programs running robot vultures at Cainhoy Elementary, students from every inch of the county were immersed in all things computer science. This year, BCSD’s eight social workers are looking to community members and school stakeholders for as much help as possible as they answer the call to provide gifts for at least 40 students. This year's show is entitled "Robin Hood & His Merrie Men of the Round Table" as was written by CBH student Jesse Stratford. While more than 30 BCSD schools achieved a score of average or higher, BCSD administrators argue there are discrepancies in nearly every way the schools were measured -- even at those schools the report card awarded its highest score of "excellent." With the help of Volvo, several schools in Berkeley County School District are offering students an introduction to lean manufacturing and safety training. For the sixth year, the Berkeley Intermediate/Berkeley Middle BOLT team has qualified for the FIRST LEGO League State Championship. While he can sit at the piano and easily play things it may take some years to learn, what really sets him apart are his views about music. Like many teachers, Cane Bay Elementary's Emily Evans became an educator because of the impact a teacher had on her life. A small group of Cross community members gathered in a classroom at the elementary school on Tuesday. The group meets there regularly with a heavy focus on one of the most important skills developed at an early age. Each of those students completed a 3-part recorded audition, which was measured against thousands of others from across the country. Basketball players at Philip Simmons High School recently put together 150 shoe boxes for Operation Christmas Child. On November 10, CPM Robotics won the Design Award and the Judges Award at the Gregg Middle School VEX Qualifying Tournament. Those at Bowen's Corner Elementary had something special planned for students on the final day of school before fall break. Experts agree there’s no sign of growth slowing any time soon, and data as of September/October showed a need for three new schools by 2023. The rookie Devon Forest Elementary robotics team won the Core Values Award at the November 10 FIRST LEGO League Into Orbit tournament held at Summerville High. The following Berkeley County School District facilities/construction updates were shared during the Tuesday, November 13, 2018 board meeting. More than 50 Berkeley County School District students were recently selected for the SC All State Choirs, accounting for about 11 percent of all students chosen from across the state. At one time or another, all athletes dream of being a part of a legacy. Philip Simmons High sophomore Noah Ward is not only living that dream — he’s in control of it. As a part of Trident United Way's Day of Caring, local volunteers were matched with several BCSD schools on Friday. This edition of In the Loop, published and distributed by the Department of Communications and Community Engagement, provides a highlighted summary of actions taken by the Board of Education during the regular meeting on November 13. BCSD, with the help of local law enforcement, conducts several such crisis drills at schools each school year. Family members and friends of Berkeley County School District athletes filled meeting areas, classrooms and auditoriums Wednesday as those at several schools signed national letters of intent. The final counts are in, and the winnings at the Coastal Carolina Fair show visual arts students in Berkeley County School District are excelling. The following list is of events, showings and performances of Berkeley County School District fine arts students. A recent dive into a series of videos focused on character development and tangible life lessons sparked a desire not just to understand positive character traits, but to embrace them and take action. Three Berkeley County School District high school football teams opened the playoffs with big wins Friday night as they make runs for South Carolina High School League titles. Berkeley County School District is hosting a Winter Teacher Recruitment Reception on Thursday, December 6 from 4:30 p.m. until 6 p.m.
Several Berkeley County Schools held events Friday to honor local veterans. From school parades, to special meals and programs, students and teachers made it clear that veterans should be honored for their service to our country. Student smiles were visible in every direction. Laughter accompanied discussion, and images shown during classroom lessons transformed into items heard and held. Each year students at Philip Simmons Elementary work hard on a campus-wide passion project. The goal of the project is to develop a persepective on problems faced in the world. This year, the school turned its focus on the community -- relationships, understanding and engagement. Nexton Elementary's Sylvia Brinkley-Roach believes in taking action when there's a need and leading by example. You don't have to look hard to find teachings and examples of kindness at Westview Elementary School in Goose Creek. Teachers at Cainhoy Elementary found themselves "speechless and overwhelmed" this week as something happened that will impact each of their classrooms. When fellow teachers, administrators and even students describe Sangaree Intermediate’s (SRI) Sarah Meeks, there’s a word that’s frequently used – inspiration. Berkeley High School's Sarah Mundy will be attending Colorado State University next year where she will be a member of the swim team. This edition of In the Loop, published and distributed by the Department of Communications and Community Engagement, provides a highlighted summary of actions taken by the Board of Education during the regular meeting on October 23. The annual North/South all-star game will be played on December 15 at Coastal Carolina University and will see talent-rich squads from the Upper State and Lower State face off on the gridiron to claim bragging rights for their respective regions. The chorale performed Alleluia by Thomas Lavoy and Dwijavanthi by Ethan Sperry, bringing home 1st place in the Mixed Choir Division and the Overall Grand Champion award. The 2018 Shrine Bowl will be played at Wofford College on December 15. Kickoff will be at 1 p.m. South Carolina currently leads the rivalry that began in 1937 with a 44-32-4 record. Willow and Ginger were winners at this year's Coastal Carolina Fair, though they weren't judged like most of the animals. Cane Bay High School's Debra Summers has been a Resaissance coordinator for 12 years. In that role, she has focused on the positive, and worked with students and fellow educators on cultivating the school's climate and culture. On Thursday, October 18, College Park Middle and College Park Elementary hosted their 3rd Annual Octoberfest Title I Parent Event at Westbury Hardware on College Park Road. ﻿Five Berkeley County bands competed this past weekend in the South Carolina Lower State Marching Band Championships: Berkeley High School (4A), Goose Creek High School (4A), Stratford High School (4A), Philip Simmons High School (1A) and Hanahan High School (3A). Students at College Park Elementary are learning a 'healthy amount' in the new CPE Cafe. This edition of In the Loop, published and distributed by the Department of Communications and Community Engagement, provides a highlighted summary of actions taken by the Board of Education during the regular meeting on October 9. Berkeley Elementary 2nd-grader Bentley Driggers has a life lesson he wants to share with the world. Why should your child get the flu shot? The U.S. Centers for Disease Control and Prevention (CDC) strongly recommend yearly flu vaccination for all children 6 months of age and older — and for good reasons. The Special Talent Enrichment Program (STEP) serves Berkeley County School District students in grades four through twelve who have been identified through auditions as gifted in visual art, music, drama and dance. While educators teach, they also never stop learning. Those professional development opportunities often come after hours and in some cases may not cover what our teachers feel like they really need. Kellie Tuberty sees each day as a teacher as an opportunity to learn something new and do something exciting. Her pursuit of the adventure learning provides is also what she and coworkers believe fuels her greatest attributes – perseverance and inclusion. While it may have looked like a glorious moment of student mischief, it was actually a creative approach to supporting 21st century educational practices at the school. Students were challenged to design the best method for getting their principal to stick. They were encouraged to think creatively. Berkeley County is one of the fastest-growing counties in the country. As the county see's growth in population, industry and jobs, the school district must adjust to that growth. The special reception and awards ceremony was hosted by Berkeley Electric Cooperative at the Goose Creek fire station on Button Hall Avenue. The yearly event caps the power provider’s Bright Ideas Grant Program, which awards local teachers as much as $1,000 each. Berkeley County School District board members believe in the work being done by Superintendent Dr. Eddie Ingram. This edition of In the Loop, published and distributed by the Department of Communications and Community Engagement, provides a highlighted summary of actions taken by the Board of Education during the regular meeting on September 25. There’s a belief that exists on the campus of Sangaree Elementary School, and it’s one that continues to receive national recognition. Administrators at the school say she’s a strong student leader with a solid grasp of what it takes to be successful. Bigger spaces make a big difference. Berkeley County School District teachers and administrators are being challenged to incorporate dynamic spaces in their lessons, but it isn't anything new. This edition of In the Loop, published and distributed by the Department of Communications and Community Engagement, provides a highlighted summary of actions taken by the Board of Education during the regular meeting on September 18. Seven schools opened their doors as shelters, and BCSD employees, working alongside teams from the Red Cross, local law enforcement and other agencies, did their best to serve hundreds of men, women and children hoping for the best and fearing the worst. In August, Berkeley County School District Superintendent Dr. Eddie Ingram presented the annual Report to the Community. Among talking points in the presentation was the topic of Fine Arts at BCSD schools. In anticipation of inclement weather, three days were built into the Berkeley County School District instructional calendar for this school year. Academies of Berkeley County prepare students for college and careers, where relationships are fostered among students, teachers, parents, community and business partners. As areas of South Carolina braced for a potential landfall from Hurricane Florence last week, student-athletes from Hanahan High School's football, baseball, soccer, volleyball, basketball, and cheer teams volunteered to help fill sand bags for the community. Schools and offices will operate on a regular schedule. The scheduled late-in for high schools Wednesday has been canceled. Members are identified through a rigorous process including nominations from existing Riley Fellows, application, and interview. Individuals are selected to join the class based on their capacity to impact their organizations and communities. A hero teacher’s impact is visible. In the case of Ms. Elaine Phillips at Hanahan High School, her coworkers and administrators say you can see it in the hallways, in the cafeteria and at school celebrations. Peyton Sommer was a 4th grade student at Whitesville Elementary last year. He plays hockey for CYHA Hitman and the Junior Stingrays. Berkeley County School District was recognized this year by District Administration Magazine as a District of Distinction. This edition of In the Loop, published and distributed by the Department of Communications and Community Engagement, provides a highlighted summary of actions taken by the Board of Education during the regular meeting on August 28. The Berkeley County Board of Education approved the hire of Cainhoy Elementary School’s new principal at Tuesday’s regularly-scheduled meeting. Mrs. Orvin is a graduate of Berkeley High School. After graduating from the University of South Carolina, she joined Berkeley County School District as a second grade teacher at College Park Elementary. She later taught at H.E. Bonner Elemetary where she also served as an ELA liason and an instructional coach. Mrs. Lee is a 1969 graduate of Winyah High School in Georgetown County. She joined BCSD as an English teacher at Westview Middle School. From there, Mrs. Lee taught English at Stratford, was the librarian at Goose Creek and ended her career with the district as an honors English teacher at Macedonia Middle. Mrs. Harrop is a 1969 graduate of Berkeley High School. She later taught social studies at Berkeley High School from 1986 until 1995. From 1996 until 2016 she worked at BHS as the librarian. The learning cottages on BCSD campuses aren't the trailers you remember from the 80s and 90s. Humble beyond her years as a student, Nwaezeigwe thanked nearly everyone in the room as she accepted the news, a plaque from the cooperatives and a bouquet of flowers from Berkeley Electric. Is your child a bus rider? If so, do you know your child’s route? Do you know how to begin receiving notifications on issues related to Berkeley County School District bus transportation? As Berkeley County School District athletic teams close in on what’s the opening night for varsity sports, it’s important for fans, parents and community members to remember the “Clear Bag or No Bag” entry procedure will be in place. While students dove into pools, played with friends and attended summer camps, school safety and security officials were attending trainings, learning new best practices and preparing for another year dedicated to the safety of children. Photos posted to Facebook from the Foxbank Elementary ribbon-cutting. Facebook page link opens in new window. As students and teachers return to Berkeley County School District campuses, they will be armed with a new tool in reporting situations like bullying, threats and drug activity. Shayla Lewis makes good grades, stays out of trouble and has an overall positive outlook on life. She admits, things haven't always been that way. Photos from the ribbon-cutting at Bowen's Corner Elementary. Facebook album link opens in new window. This edition of In the Loop, published and distributed by the Department of Communications and Community Engagement, provides a highlighted summary of actions taken by the Berkeley County Board of Education during the regular meeting on Tuesday, August 14. The Berkeley County Board of Education approved the hire of Philip Simmons Middle School’s newest assistant principal at Tuesday’s regularly-scheduled meeting. Teachers dedicate their lives to helping the children in their classes prepare for the future. Some teachers go a little farther. Mrs. Kim Dunbar at Berkeley Middle School is one of those special teachers. On Thursday, August 9, Berkeley County School District Superintendent Dr. Eddie Ingram presented the annual Report to the Community. Among talking points in the presentation was the topic of technology in BCSD schools. Thousands of people attended the event where approximately 4,000 backpacks stuffed with school supplies were given to students. The safety and security of our students and staff is - and will continue to be - our highest priority. Applause, laughter and even tears filled the auditorium and cafeteria at Berkeley High School Thursday as Berkeley County School District’s road warriors gathered for the annual summer in-service meeting. During the 2017-18 school year, BCSD took several actions to improve district finance. The world is changing, the job market is changing and our communities are growing. It’s important that our educational practices evolve with that growth as we prepare BCSD students for their future and not our past. 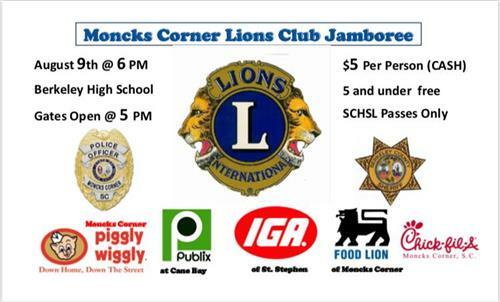 The Moncks Corner Lions Club, along with BHS leadership, will host Berkeley County’s first-of-its-kind preseason football jamboree on Thursday, August 9 beginning at 6:30 p.m. The hirings of three assistant principals at Berkeley County schools were approved by the Berkeley County Board of Education Tuesday evening during the board’s scheduled workshop. The event will provide the perfect opportunity for parents to network with district employees and community supporters while also collecting free school supplies. When it comes to putting STEAM practices into place, experts say BCSD educators are among the best. Two Berkeley County School District employees were promoted to administrator positions at their schools this week. The newly-appointed assistant principals were approved by the Berkeley County Board of Education at Tuesday’s meeting. When it comes to dedication and teamwork, there’s a group of Berkeley County School District students that “set the bar this summer.” If they have their way this weekend, they will raise that bar even higher. This edition of In the Loop, published and distributed by the Department of Communications and Community Engagement, provides a highlighted summary of actions taken by the Berkeley County Board of Education during the regular meeting on Tuesday, July 24. There were three topics where those representing local employers seemed to agree most. Those topics were all about failure, ability to adapt and soft skills. BCSD leaders will host a stakeholder meeting at Cainhoy Elementary on Thursday, July 26 at 6 p.m. The BCSD administrative team is seeking input from the school community regarding the selection of a new principal. BCSD leaders announced that Aidra Shaw will join Westview Primary as their new principal. Shaw will begin her new assignment immediately to prepare for the fast approaching school year. Organizers of the first-ever Summer Teacher Recruitment Fair describe it as a success. This edition of In the Loop, published and distributed by the Department of Communications and Community Engagement, provides a highlighted summary of actions taken by the Berkeley County Board of Education during the board workshop on July 10, 2018. At the Tuesday Berkeley County Board of Education workshop board members confirmed the promotion of Charla Groves from assistant principal at Philip Simmons Middle School to principal. The promotions of four assistant principals were confirmed and announced at Tuesday’s Berkeley County Board of Education workshop. On Thursday BCSD will build upon the success of the annual teacher recruitment initiative with the first-ever Summer Teacher Recruitment Fair. Each week of the summer BCSD child nutrition workers prepare approximately 12k meals. The meals are meant for children in need, and they're delivered by the same compassionate people who serve them during the school year. Attached is the Berkeley County School District Instructional Calendar for 2018-19 as of July 5, 2018. Valerie Rose has education in her blood. Women in her family have been teachers since the early 1900s. Students at Berkeley County schools left campuses for the summer during the first week of June, but learning continued for teachers and administrators. This edition of In the Loop, published and distributed by the Department of Communications and Community Engagement, provides a highlighted summary of the Berkeley County Board of Education's regular meeting on Tuesday, June 26. Gallus and Pressley will begin their new assignments immediately to prepare for the upcoming school year. Employees of Berkeley County School District had a strong showing at Tuesday’s South Carolina Association of Career and Technical Education (SCACTE) Awards Program. ﻿Students from three high schools in Berkeley County School District participated in last week’s National Beta Club Convention in Savannah, and several were recognized for strong showings in various competitions. Wednesday evening brought a night of celebrating second chances, and in some cases, last chances for those recognized at the commencement ceremony of Berkeley County School District’s Adult Education Class of 2018. Last week students in Berkeley County School District's Gifted and Talented Arts Program participated in the Summer STEP Program hosted at Goose Creek High School. Six schools throughout the district will provide hot breakfasts and lunches Mondays through Fridays. The goal was to help people see there are careers available in Berkeley County and also help BCSD’s graduating seniors see they don’t need “just a job.” Opportunities to begin careers with local employers are available. Current vacancies are not limited to teaching positions and include opportunities for: auto mechanics, bus drivers, carpenters, child nutrition workers, electricians, grounds workers, HVAC servicers, kitchen repair mechanics, mover helpers and plumbers. This edition of In the Loop provides a highlighted summary of actions taken by the Finance and Human Resources Committee at its rescheduled meeting. Lowcountry Lifestyles is a CTE summer camp during which middle school students get to explore topics such as healthy eating, clean water, alternative energy and first aid. With the help of local businesses and organizations, along with passionate participants, more than $11,000 was raised for children in need in Berkeley County. A classroom should be a place where all students feel like they belong. If you speak to teachers and administrators at Sedgefield Middle School in Goose Creek, they will tell you that’s the environment 7th-grade social studies teacher Mrs. Courtenay Johnson provides. Signage, temporary painted pavement markings and traffic barrels will be in place indicating proper traffic flow. This edition of In the Loop, published and distributed by the Department of Communications and Community Engagement, provides a highlighted summary of the Berkeley County Board of Education's regular meeting on Tuesday, June 12. Several industries in Berkeley County will have tables and representatives on hand. The purpose of the hiring fair is for employers to scout for entry-level candidates to help fill positions. Workers have transformed what’s normally a 22-month project into an 18-month job. Smith will begin her new assignment immediately to prepare for the upcoming school year. Berkeley County School District (BCSD) leaders will host a stakeholder meeting in the Philip Simmons Middle School library on Thursday, June 21 at 6 p.m. The BCSD administrative team is seeking input from the school community regarding the selection of a new principal. Destiny Brown will walk the halls of Goose Creek High School next year for the first year, but she won’t be the typical freshman. Over the course of the last seven days, thousands of Berkeley County School District students celebrated the end of their high school years with commencement ceremonies. Spencer and Dixon will begin their new assignments immediately to prepare for the upcoming school year. “Thank you for your service.” – It’s what Hanahan Elementary School’s Aiden Wright told Detective Will Muirheid several days during the school year when he passed him in the hallway. Do you have a child with an interest in robotics? College Park Middle School is hosting a beginner robotics camp that’s open to all rising BCSD 4th-8th grade students. Berkeley County School District wants all students to have the opportunity to prepare for the next grade level. With that in mind, the BCSD Office of Federal Programs is hosting several summer book distribution events during the month of June. During a crisis, or when we must take precautionary measures related to a potential crisis, the most reliable information will always come from law enforcement and/or Berkeley County School District. He’s taken lessons from the class of Mr. Jonathan Griffith, combined that knowledge of what he’s learned from living in other areas of the country and has dedicated himself to making sure unheard opinions find an audience. Berkeley County School District will live stream the graduations of Goose Creek High School, Hanahan High School, Berkeley High School, Cane Bay High School, Timberland High School and Stratford High School. As students walk out of classrooms across Berkeley County School District next week to begin weeks of fun in the sun, camps and family vacations, Hanahan Elementary School teacher Stephanie German will be counting her blessings. Berkeley County School District (BCSD) leaders will host a stakeholder meeting at Cross High School on Monday, June 11 at 6 p.m. This link contains dates, times and locations for Berkeley County School District high school graduations. If you are interested, we encourage you to attend one of two upcoming job fairs. If you plan on attending one of the several Berkeley County School District high school graduations to be held at the North Charleston Coliseum, there’s a new policy you should be prepared to see enforced. “Tough” -- it’s the word several Berkeley Middle College graduates used to describe their senior year of high school. Though it came with difficulty, they all also agreed the reward was worth the sacrifice. If you’re a parent of a soon-to-be kindergarten student in Berkeley County, there’s an event you don’t want to miss this week. As the music of Motown and hits from the 60s and 70s pumped through the sound system in the BMS cafeteria, those dining, laughing and reminiscing on the lifetime they spent working with BCSD pondered what their legacy would be. This edition of In the Loop, published and distributed by the Department of Communications and Community Engagement, provides a highlighted summary of the Berkeley County Board of Education's regular meeting on Tuesday, May 22. Students from each of Berkeley County School District’s high schools were honored Thursday at the annual Breakfast of Champions event hosted at Charleston Southern University. The South Carolina Association for Supervision and Curriculum Development (SCASCD) has named its 2018 class of Emerging Leaders, and one of Berkeley County School District’s educators is among them. Wednesday morning at Whitesville Elementary School, members of the Pimilico Rural Volunteer Fire Department joined forces with teachers, administrators and students on the campus to thank a selfless 5th-grader. Berkeley County School District (BCSD) leaders will host a stakeholder meeting on Thursday, June 7 at 6 p.m. in the Hanahan High School library. Berkeley County School District (BCSD) leaders will host a stakeholder meeting on Tuesday, May 29 at 7 p.m. at Westview Primary School. It’s arguably one of life’s most beautiful events. It’s a series of moments marking a milestone – and with it come smiles, laughter, crying faces and memories of what set the stage for life’s next series of adventures. Six Hawkettes already committed to playing on the collegiete level left a field in Anderson County as champions Thursday night. Younger peers left the diamond knowing it was their responsibility to continue a dynasty. What began out of uncertainty now continues with confidence as BCSD administrators say there’s much to celebrate about contributing to the growth and development of teachers. Berkeley County School District recognized the work of 42 Duke TIP Scholars and 185 Junior Scholar students during a ceremony held at Cane Bay High School on Thursday evening. There’s no questioning the role of literacy in education. For quite some time, those in the Office of Federal Programs at Berkeley County School District have been looking for ways to expand upon literacy offerings. Recipients of Berkeley County School District’s annual Turnaround Achieve Awards found themselves all in the same boat this week – literally. South Carolina Gov. Henry McMaster was in attendance and was frequently caught smiling as he looked over the shoulders of students eager to explore the future of learning. You know you’re doing something right when you win a competition for the third time. Such is the case for Devon Forest Elementary. Gabrielle Rice is known for her positive attitude. Her can-do nature and belief that “you can catch more flies with honey than vinegar” can be somewhat contagious. There’s no doubt that testing sessions can be stressful, especially for the younger students. That’s why H.E. Bonner Elementary Assistant Principal Ashley Osterkamp decided something needed to be done to establish a more stress-free atmosphere in her school. It's part of our effort to be more environmentally friendly, embrace innovative technology, and maintain fiscal responsibility. While PTSA organizers say fun is the goal, there is definitely more to the events than bounce houses, games, “fair food” and the cost of admission. The winning piece, entitled “The Last Great Artist,” is a portrait of Willis Sanders, a Berkeley County resident and artist. As work in preparation for the opening of Bowens Corner Elementary in Hanahan continues, roadwork that could impact traffic is expected for the next several weeks. This edition of In the Loop, published and distributed by the Department of Communications and Community Engagement, provides a highlighted summary of the Berkeley County Board of Education's regular meeting on Tuesday, May 8. Dr. Melissa Negreiros began her career in education in 2003 as a math and pre-algebra teacher at Cross High School. She will now begin her new role of PSE’s top administrator in July of 2018. Prom is a night every high school student should be able to look back at and remember – friends, dancing, laughing and fun. But for so many parents and students nationwide, it’s remembered for unfortunate and devastating incidents. Families and community partners curious about what BCSD has done or plans to do, have an opportunity to get answers, but we need input from you on what topics you value most. Mr. Cox came out of a life filled with long naps and fishing trips about 11 years ago, and joined Berkeley County School District as a bus driver. The Big Bad Wolf from the fairy tale “Little Red Riding Hood,” was put on trial! Witnesses for the prosecution included the Three Pigs, Little Red Riding Hood, her Grandmother, and the Boy Who Cried Wolf! These photos taken sometime between 1995 and 1999 show then South Carolina Governor David Beasley on a visit to Fishburne Elementary School in Hanahan. Things are happening on Berkeley County School District campuses that aren’t happening everywhere. Philip Simmons High School is BCSD's newest school, but its youth should not be seen as an indication on the level of opportunities provided. Cane Bay High School’s Nick Snyder walked the red carpet at the Columbia Metropolitan Convention Center with swagger and class. BCSD honored Ms. Reichbach and 44 school-level Teachers of the Year at the annual Teacher of the Year Breakfast at Trident Technical College. Last week Cane Bay Choirs competed against the top choirs in the state and members solidified their place among the Palmetto State’s top singers. Stag students, staff, band and flag team members lined the front lobby and lawn of the school to send their Special Olympics basketball team off to compete against other district high schools. It’s a little bit PacMan, at little bit Call of Duty, a little bit Tetris and a whole lot different from the educational video games of the 90s. If there is one thing everyone should know about Berkeley Middle School, it’s that students, teachers and administrators work hard on an environment that encourages inclusion and acceptance. This edition of In the Loop, published and distributed by the Department of Communications and Community Engagement, provides a highlighted summary of actions taken by the Berkeley County Board of Education at its regular meeting held on Tuesday, April 24. “Humbling.” That’s how the actions of teachers and staff members at Boulder Bluff Elementary School were described at a special luncheon Wednesday. Inside a crowded Georgia World Congress Center, about 19,000 students from all over the world mingled, competed and emerged as young leaders at the DECA International Career Development Conference held this week. The 2018 BCSD Teacher of the Year will receive the use of a 2018 Jeep Cherokee Sport for one year, courtesy of Rick Hendrick Jeep Chrysler Dodge in North Charleston. Devon Forest Elementary’s Emily Reichbach may not have always known she would be a teacher, but her natural desire to help others guided her there. BCSD's Nicholas Snyder, a 9th - 10th grade English teacher at Cane Bay High, will travel to Columbia on Wednesday to learn if he will be named the new SC Teacher of the Year. When Dr. Anthony Dixon saw the mural of Mr. Philip Simmons in the Avondale area of West Ashley, he knew he wanted it for his school named in the late iron worker’s honor. People googling determination should be shown search results full of information about Berkeley High School’s Ephraim Butler. After graduation, Cooper will attend The Citadel. He has a dream of later becoming an orthopedic surgeon. It’s a dream he doesn’t believe is out of reach, because life has taught him that making the right decisions can get him where he needs to be. The training was centered on crisis scenarios, like responding to an active shooter situation and/or utilizing a medical crisis response kit to assist a person with a severe wound. The event is for educators and parents to come together to focus on solutions that enhance and expand engagement through family-school-community-partnerships. For the very first time, H.E. Bonner Elementary (HBE) will be offering kindergartners registering for the 2018-2019 school year admittance into their arts magnet program. All kindergarten applications must be postmarked by April 30. There’s a growth mindset at Cross High School. 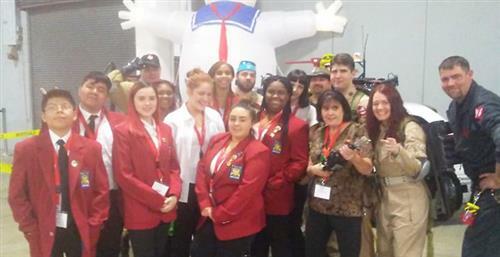 here’s no better evidence of that growth mindset than the Skills USA team’s performance at the state competition in March. In an effort to streamline the efficiency of enrolling students and to simplify the registration process for your child, we have implemented an online registration process. Programs are available for children newborn to 5-years-old through partnerships with county and community organizations. Families and community partners curious about what BCSD has done or plans to do, have an opportunity to get answers. This year made the third in a row that a team from Goose Creek advanced to the state-level African American Quiz Bowl competition, which is organized by Omega Psi Phi Fraternity. Before his break into Hollywood, he worked with at-risk children. Best in the Lowcountry – it’s what Daniel Island School 6th-grader Summer del Valle can say about a recent science project. Crews are working inside the school, outside the school and on neighboring pieces of land as Bowen’s Corner Elementary prepares to open next school year. Organized chaos – that’s how Sedgefield Middle School’s 2018-19 Teacher of the Year describes her teaching style. It was the first time in school history two wrestlers signed collegiate letters of intent in the same year, and it was also the first time in school history a student-athlete signed to play a sport not offered at the school. College Park Elementary’s Bianca Drayton wants to be Wonder Woman when she grows up. She’s an intelligent kid – makes the honor roll and walks the hallways of the Ladson and Goose Creek area school with a smile. This edition of In the Loop, published and distributed by the Department of Communications and Community Engagement, provides a highlighted summary of actions taken by the Berkeley County Board of Education at its regular meeting held on Tuesday, April 10, 2018. More than 100 students from all over South Carolina qualified for the competition after first winning school-level National Geographic Bee events. The BCSD administrative team is seeking input from the school community regarding the selection of the principal for Berkeley Middle College. Current principal, Claire Freeman, plans to retire at the conclusion of the 2017-2018 school year. The BCSD administrative team is seeking input from the school community regarding the selection of the principal for Philip Simmons Elementary. Former principal, Dr. Karen Whitley, is currently serving BCSD as the Chief Human Resource Officer. Student’s collected cash donations for weeks and packed the auditorium from wall to wall as the news of hundreds of dollars in cash donations was shared with Mr. Ty Darby and his family. Thirty-one students competed in 24 different events. Of those students, five qualified to compete at the HOSA International Leadership Conference in Dallas in June. Anna was a three-year letter winner; 2017 season MVP; 2017 and 2018 all-region team member and the 2018 Timberland volleyball team captain. This edition of In the Loop, published and distributed by the Department of Communications and Community Engagement, provides a highlighted summary of actions taken by the Berkeley County Board of Education at its regular meeting held on Tuesday, March 27, 2018. Cane Bay Middle school employees are among several BCSD groups that saw a sizeable year-to-year increase in campaign contributions. Through payroll deductions, cash donations and checks, staff members raised nearly $3,700. Students from Berkeley Middle School were among thousands in attendance at a Statehouse rally Tuesday. The goal – to end the “r word” and promote inclusion of students with disabilities in school and community activities. Five high school seniors and five senior citizens came together to discuss their perspectives on crucial matters facing humanity, our nation, and the world at the Third Annual Intergenerational Forum (IGF) Competition at Bisop England High School. Students gathered in classrooms Trident Technical College, where they faced off in categories ranging from math to public speaking. It’s hard to believe Carlio has ever been anything other than a cheerful child, but the Carlio Jenkins you meet at Philip Simmons Middle today is one who says he’s made changes. With state and local leaders/lawmakers present, representatives from Nucor Steel and BCSD signed a partnership agreement benefitting the Mechatronics Academy at Philip Simmons High School. Forty projects, 185 participating teachers and 4,496 participating students – we’re talking about the 27th annual Kids Who Care project competition. As parents question what can be done, what should be done and what is already being done to keep schools safe, Berkeley County School District is working to provide answers. 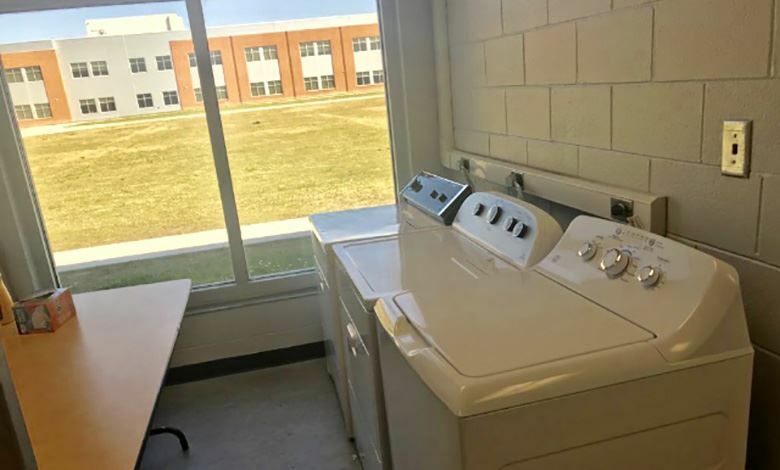 Earlier this year, the school decided to launch a Clean Laundry Initiative – providing students unable to wash clothes at home an opportunity to do so at school. Leadership is a big deal at Sedgefield Intermediate School, and that's why WCBD featured it as the Cool School of the Week. Students, teachers and administrators rolled out the red carpet at Philip Simmons Middle School Friday. Principal Anthony Dixon was the guest of honor. Nucor will be the platinum level partner for Phillip Simmons High School Nucor Mechatronics Academy. 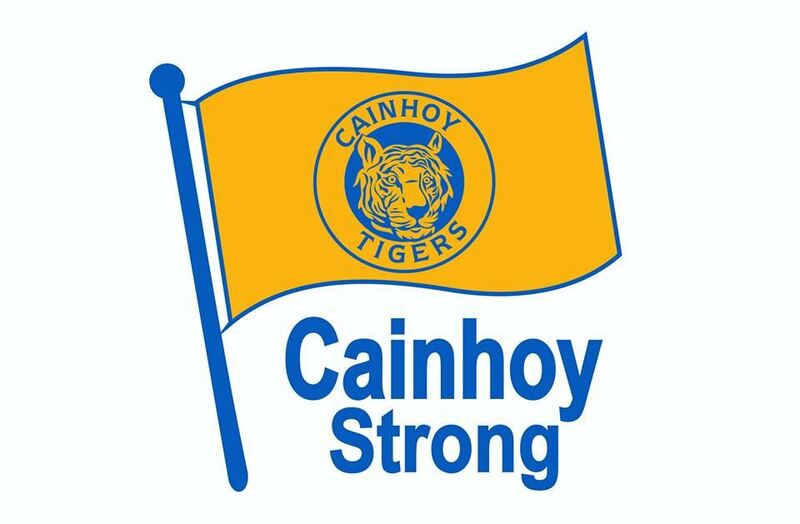 Cane Bay Creates at Cane May Middle School is a community-focused event driven/organized by students. What makes a good leader? That's one of many questions we asked Devon Forest Elementary's Isabella Rodriguez, and she did not disappoint. The Goose Creek Dance Team competed at Eastern Dance Nationals this weekend in Myrtle Beach and took home a 1st and two 2nd-place finishes. Parents will be able to register children for kindergarten programs including Head Start (K-3 and K-4), the Childhood Development Education Program (CDEP)(K-4) and Kindergarten (K-5). Hearing a student say they "cannot wait for science," or "science is the best part" is what Hanahan Middle School teacher Emile Garcia Dugan lives for. At Philip Simmons Middle School, Principal Anthony Dixon and other administrators have chosen not to fill a class with a long-term substitute teacher. Instead they’ve divided the day parts and they each help fill the need. Updates will be presented on public safety, road projects, including Black Tom Road and Cypress Gardens Road and bridge, as well as other important topics. The maintenance and operations team is one of several employee groups to be recognized for large year-to-year contribution increases to the BCSD Trident United Way campaign. Child nutrition is an important layer in the education of the “whole child.” Providing healthy meals, encouraging a healthy lifestyle and teaching children what they need to be healthy later in life as adults are paramount in the process. This edition of In the Loop, published and distributed by the Department of Communications and Community Engagement, provides a highlighted summary of actions taken by the Berkeley County Board of Education at its regular meeting held on Tuesday, March 13, 2018. Candidates attending the forum will introduce themselves and then student moderators will ask questions. Those questions will be selected in advance by a student committee which gathered information from community members and students. This marks the 5th consecutive year a BCA creative writing student has earned national recognition as part of the competition, with 5 National Gold Keys, and 5 National Silver Keys in all. Want to play a round of golf while benefiting one of the largest back-to-school events in the Lowcountry? In recognition of National Water Week 2018, Berkeley County Water and Sanitation is again holding a poster contest for K-8th grade Berkeley County students. Have you ever considered teaching your trade? The Career and Technology Education (CATE) Work Based Certification Program makes it possible. Team members will be competing in the VEX World Championship after taking second place at a 50-team state championship. Mr. Eddie Hall could end up attending the Tony Awards in June, and his students believe he has a solid shot of winning the Excellence in Theatre Education Award presented by Carnegie Mellon University. She credits her success not only to her own determination, but also to direction from her mother and help from BCA’s John Stoudenmire. Several hundred educators attended this year's recruitment fair. The goal of Berkeley County School District each year with the golf tournament is to generate funds to provide school supplies to students in preparation for the upcoming school year. As one of five finalists, Snyder will receive $10,000 and go on to the next stage of competition which involves an in-person interview with a team of expert judges. The South Carolina Teacher of the Year Gala will be held May 2nd in Columbia where the overall winner will be crowned. School social workers are agents of change, dedicating their lives to helping at-risk children. In its second year of utilizing the Common Sense Media Education curriculum, Berkeley County School District has received recognition from the non-profit organization. The BCAEOP, originated in August of 2016. The affiliation was a dream pursued and achieved by Michelle Scott, CEOE and Kimberly Glaze, CEOE. While the team has local bragging rights and trophies for the case, team members need funds to get to the big showdown, to pay for meals and housing and to get back to the Palmetto State after the competition ends. Team members need your help. Simply put -- their leadership skills are on fire as they lead a pack of career-focused teens DECA was created to prepare for the future. Work in the Williams Lane/Foster Creek area of Hanahan continues in preparation for the opening of Bowen’s Corner Elementary School for the 2018-2019 school year. The event will be held from 6 p.m. until midnight on the school’s track. Walk-ins from certified teachers are welcome. It's an "un-conference" with topics and sessions determined by participants. Conversation and collaboration are driven by an open dialog and anyone can be a collaborator. Teams from Berkeley County School District finished first and second in the Mu Alpha Chapter of Omega Psi Phi’s Black History Quiz Bowl last month. McGill joins several other BCSD students choosing to continue their paths in athletics, most who signed letters of intent on National Signing Day last month. Read Across America Week is a nationwide celebration of reading. The event began in 1997 as a way to get children excited about reading the same way pep rallies are aimed to get students excited about the big sporting event. Please help us better address concerns you may have by completing our survey. Effective March 1, 2018, former students, educational institutions and authorized 3rd parties MUST request transcripts and education verifications ONLINE. Kerstin Gregory is a humble product of Berkeley County educators. She says it was those amazing teachers who lit a passion for learning and caring for others. She credits her career decisions to the teachers in her life and still pulls inspiration from Berkeley County educators. This edition of In the Loop, published and distributed by the Department of Communications and Community Engagement, provides a highlighted summary of actions taken by the Berkeley County Board of Education at its regular meeting held on Tuesday, February 27, 2018. In all, 14 BCSD wrestlers finished in the top three in their weight classes. Sixteen of the 24 wrestlers participating in the state tournament finished in the top four. Goose Creek High School and Berkeley Center for the Arts showed a ton of spirit at this past weekend’s S.C. Thespians Festival at Winthrop University. Cameron Moore has only been playing bass guitar for about eight months. In those eight months the 10-year-old Cainhoy Elementary School student’s learned to play several songs and finds comfort in his new-found gift. Whether you’re a current teacher on a Berkeley County School District campus or a a teacher looking to make a move and grow with us, there are several reasons to make sure you attend the Teacher Recruitment Fair on March 10. Chronic absenteeism is something school districts across the country are working to measure and address. As chronic absenteeism becomes a more broadly-used term to describe students frequently absent from school, it’s important to note it is not the same as truancy. Two Berkeley County School District students are partaking this week in one of the highest honors a high school singer can receive. These teachers will also serve on Berkeley County’s Teacher Forum to represent the interests of their schools and colleagues. The unified music class will next perform at the "End the R Word" Statehouse Rally on March 28. The sessions are an hour and a half long and will be informal in setting. In addition to listening to thoughts from those in attendance, Dr. Ingram will answer questions raised by attendees, give updates on the school district and ask for feedback on important issues. February is CTE Month, and we hope you will help us spread the word and promote our variety of programs. 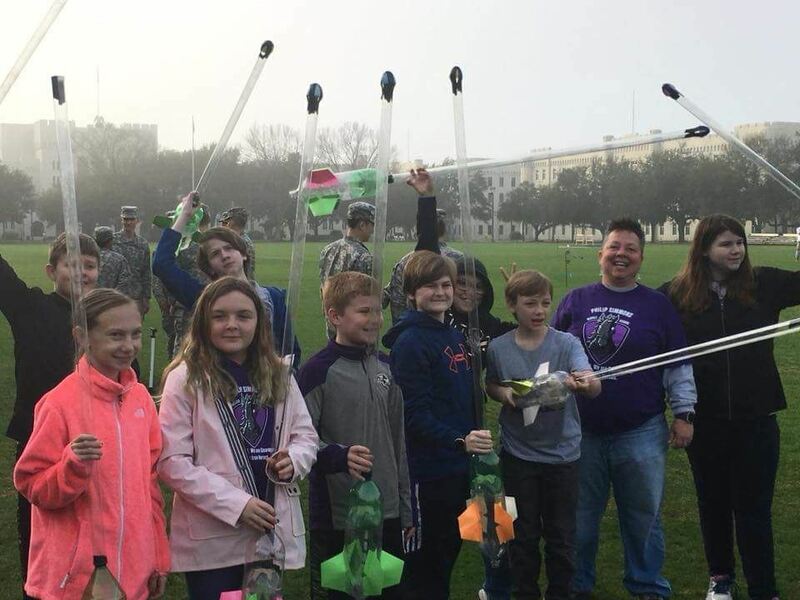 The PSM Iron Horse Bottle Rocket Team, made up of 5th and 6th graders, swept the competition at the Storm the Citadel Competition this month. Philip Simmons Middle, in partnership with the Philip Simmons Family, Foundation and Daniel Island Historical Society has provided all students at PSM with the opportunity to learn more about the school’s namesake, Mr. Philip Simmons. As a small child, Lesley Creel knew she wanted to be a teacher, but it wasn’t until she reached college that her path became certain. It was emotional. It was loud. It provided life-saving information, and it was timely. The Office of Transportation for the South Carolina Department of Education established this week as School Bus Driver Appreciation Week in the state. This edition of In the Loop, published and distributed by the Department of Communications and Community Engagement, provides a highlighted summary of actions taken by the Berkeley County Board of Education at its regular meeting held on Tuesday, February 13, 2018. Berkeley County School Districts safety and security coordinator, Tim Knight, is among 10 finalists in the annual naming of Campus Safety Director of the Year by Campus Safety Magazine. Three Berkeley County School District Schools had strong showings at the South Carolina Beta Club Convention in Myrtle Beach over the weekend. A recent study by the U.S. Department of Educations shows that about 20 percent of high school students are chronically absent from school. The same study shows that those students are also more likely to fail core subjects and drop out of school. Organizers and volunteers behind a camping trip for a homeless family in Berkeley County believe the weekend event could be life-changing. Morbitzer has been on the Hawk staff for the past 10 years, serving most recently as the offensive coordinator. The Goose Creek High School chamber choir is made of the best voices on the school’s campus. Members of the school’s Varsity Voices auditioned to be on the newly-formed group made of about 30 students, grades 9-12. Several athletes from six Berkeley County schools put ink on paper for National Signing Day Wednesday. Berkeley County School District Superintendent Dr. Eddie Ingram is conducting "Community Conversations" to offer an opportunity for the public to share thoughts on the future of BCSD. Art comes easy for Julieta Porras, but if you ask, she will tell you it hasn’t always been that way. Teachers and administrators are the first line of defense in the event of an emergency scenario involving threats of physical harm to students and staff members at a school. Emma Seiders stood before the audience at the Berkeley Middle School talent show on January 26 and her heart sank. She was singing One Call Away with the audience clapping when she suddenly froze. She covered her face with her hands as she began to cry. Coach Winstead was previously the defensive coordinator at South Pointe High School in Rock Hill, S.C.
Howe Hall Arts Infused Magnet School (AIMS) is now accepting applications for the 2018-2019 academic year. Applications must be postmarked by Saturday, March 31, 2018. Together, the schools raised more than $1,000. All funds will stay in Berkeley County. We hope that you can join us in celebrating their positive impact in the community by watching this video and sharing the Facebook post. This edition of In the Loop, published and distributed by the Department of Communications and Community Engagement, provides a highlighted summary of actions taken by the Berkeley County Board of Education at its regular meeting held on Tuesday, January 30, 2018. Legacy Builders are students, staff members and partners who have made amazing strides during the month. The Legacy Builders program highlights their achievements at the second board meeting each month. When Carrie Nichols played as a child, she gathered stuffed animals and friends and played school. To those close to her, it’s probably no surprise that she’s devoted her life to teaching 1st-graders. McDaniel graduated from Stratford High School in 1995. He attended Charleston Southern University, where he played football and graduated in 1999. The festival is scheduled for Saturday, February 3 and will feature more than 80 exhibits among live performances, food vendors and more! Those living in the area of Bowen’s Corner Elementary School (currently under construction) in Hanahan will soon notice work along the roadways in the area. Whether you’re a current teacher on a BCSD campus or looking to make a move, there are several reasons to attend the March 10 event. Statistics show the way to best impact chronic absenteeism in schools is to address it at the elementary school level. Ebarle and 11 other spellers will next compete in the Lowcountry bee. Five young men at College Park Middle School have the opportunity of a lifetime. They just need help getting there. The recognition comes as she uses science, technology, engineering and math to inspire creativity and extend her reach beyond the classroom. Computers, snacks and cyber security — weekends of high-tech competition have taken place at Stratford High School, and Stratford’s Cyber Knights have proven they’re among the best. Mrs. Barber will now compete for the award of National School Counselor of the Year as the South Carolina representative. Members of the Cane Bay High School choirs are in Washington, D.C. this week, and Sunday they were bestowed the honor of performing at the Washington National Cathedral. On January 12, 2018, BP Amoco made an $8,000 donation to the Computer Science, Networking/Engineering classes, and a $1,500 donation to fund the first-ever robotics team. National statistics show that three-fourths of students who are chronically absent from school in the sixth grade will drop out of high school. Her desire to be a teacher comes from help she’s received from teachers at Howe Hall AIMS, specifically her kindergarten teacher, Ms. Bailey. Heroes come in all forms, and there is no shortage of heroes in Berkeley County School District classrooms. Among the heroes navigating school corridors and molding minds each day is Breyona Canty. There aren’t many kids as busy as Sangaree Middle School's Riley Klim. Teachers and administrators agree there also aren’t enough students with Riley’s mindset. Holiday gift-giving doesn't get more heart-warming than this! What these students did for their teacher may make your eyes water. Berkeley County School District (BCSD) leaders have expanded the implementation of the “Clear Bag or No Bag” entry procedure to all winter varsity sporting events. Berkeley Electric Cooperative, Inc. (BEC) awarded nine Berkeley County School District (BCSD) teachers with Bright Ideas grants at their annual Bright Ideas reception at Oakley Farms on Monday, October 9, 2017. Bright Ideas is a grant program designed to provide funding for innovative classroom-based education projects.